The historic Al-Anbar Market extends from the Mosque of Al-Hakim bi Amr Allah and ends at the market’s beautiful gates. Located next to the Mosque of Al-Ashraf Bersabai and is considered one of the oldest and most famous areas in old Cairo and is an integral part of Al-Moez Li deen Allah Al-Fatimi street; one of the most prominent streets of historic Cairo. 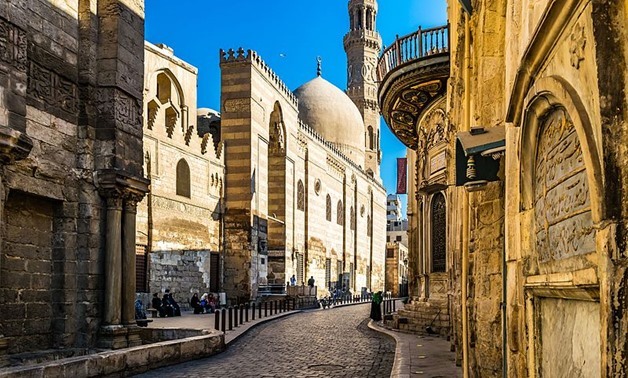 Al-Moez, over the past decade, has become synonymous with being the heart of old Cairo, which was developed to be an open museum of Islamic architecture and monuments. The market’s building was built nearly 1,000 years ago, during the reign of the Mamluk ruler Al-Zaher Baybars and was later renovated during the Ottoman Empire. In the year 517 AD specifically, the very first brick was placed in the first building right after the Fatimids completed the establishment of their royal city, with all its walls, gates, shrines, and mosques. Time passed, and the use of this historical neighborhood differs; from a prison to a perfume market, then adding several new stories to the building itself. It was finally turned into a very fascinating market building during the era of Mohammed Ali Pasha. Al-Anbar Market should have been restored and turned into a historical museum for perfumes; it’s something that Egyptians have always excelled at. Unfortunately, there are ongoing attempts to demolish this historic building along with many unattained Islamic and historical monuments! After receiving requests from people in that area the Ministry of Antiquities acted, forming a committee to activate the decision of the Minister of Culture, law No. 250 of 1990. This decision prohibits the demolition or construction activities in Islamic old Cairo unless it is passed on to the Supreme Council or the Ministry of Antiquities. The official authorities are currently trying to stop any acts of deliberate sabotage by the current owners. Starting from the head of the district to the officials of the province, who paid millions to demolish these historical monuments, nobody seems to care about Cairo’s history. Everyone seems to be racing through time to win and tear down these building to build new high rises. The Ministry of Antiquities is fighting to save our history that is not listed in the archeological registry, while the residents, as well as shopkeepers, respect the historic value of the market and want to keep their shops too. On the other hand, there are the ones who want to turn Al-Anbar Market to a modern mall, a total violation of the sanctity of Egypt’s history. WE SAID THIS: Egypt’s history should be celebrated, not destroyed!